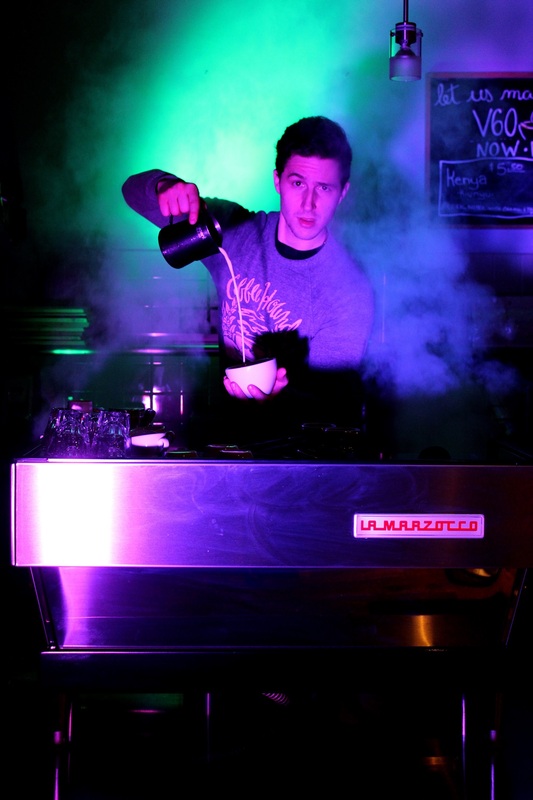 Get to know your Local Coffee Hound Barista! Let’s start with an introduction! What is your name and what do you do here at Coffee Hound? My name is Jamie Winner and I am a Senior Barista at Coffee Hound! I am also the Manager of CH3! Sweet! How long have you been at Coffee Hound? Right about 2 and a half years, I think. Why Coffee Hound? Why specialty coffee? I feel that I’ve always had an interest in coffee. When I started working at Coffee Hound, I wasn’t aware how in depth coffee culture really was. Being able to learn and explore something I enjoy in such detail is just fun! So interesting as well! Is there a particular drink at Coffee Hound that you enjoy the most? How do you choose? It’s hard to pick! When I go to the Downtown Bloomington or Uptown Normal stores, I get a traditional cappuccino. CH3 though has a lot of good drinks! However, the drinks are here and then they are gone! So I have too many favorites! What do you like to do for fun other than exploring the realms of coffee culture? Anything outdoors! Camping, Hiking, Kayaking, and just being outside! Nature is great! Cooking and Drawing are also nice if I have the time! Last question for you Jamie! If you were to describe yourself as a baked good that we offer at Coffee Hound, what baked good would that be? Savory Scone for sure! It’s my favorite!